An all-important drying regime was implemented at the Hospital Swamps wetland in 2015–16, improving the health of wetland plants and attracting the majestic brolga. Some wetlands, like Hospital Swamps, need both wet and dry periods to remain healthy and continue to provide habitat for fish, frogs, waterbugs and waterbirds. 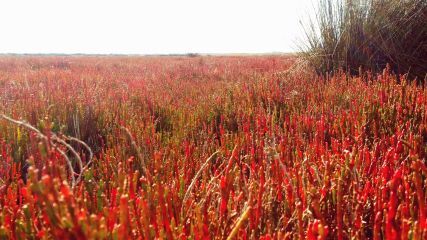 Environmental watering protects some of Victoria's rarest and most charismatic species (such as the brolga, orange-bellied parrot, Australasian bittern and growling grass frog), and subtropical and temperate coastal saltmarsh plants. 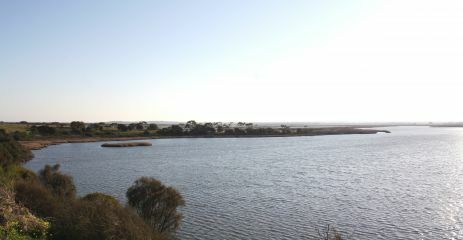 "A successful drying regime occurred at Hospital Swamps this year, which improved soil salinisation and provided suitable growing conditions for the wetlands' significant environmental values, including nationally threatened coastal saltmarsh plants," said Corangamite Catchment Management Authority's Saul Vermeeren. "Implementing the natural wetting and drying regime also provided wading habitat, which attracted the seasonal return of brolga to the site." Keeping the lower Barwon wetlands healthy through the environmental watering program benefits everyone including the many thousands who visit and value the site each year for its intrinsic beauty, ecological significance and recreational opportunities. In particular, the wetlands are used regularly by Geelong Field and Game and Geelong Field Naturalists for conservation activities, events, birdwatching, game hunting and other recreational activities. "Geelong Field and Game acknowledges the long-term outcomes of environmental watering. Our club continues to be a strong advocate of a watering regime that contains noxious weeds (such as cumbungi) and noxious fish (such as European carp), and supports the biodiversity of the lower Barwon wetlands," said David La Ferla of Geelong Field and Game. "Our club is very active in designing and actively deploying leading conservation programs and acknowledges that our wetlands serve as important refuges during periods of drought. For example, in early 2015 and early 2016 many of our members recorded the breeding activities of colonial nesting birds including royal spoonbill and Australian white ibis."